25x19mm. 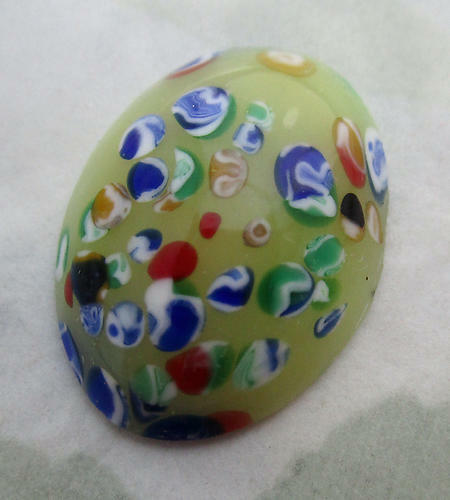 Vintage glass yellow millefiori flat back oval cabochon by Cherry Brand of Japan. New old stock. Jewelry supplies.